Whirlow Hall Farm is a unique venue for a wedding, with the barn, hall and gardens available to hire and profits going to help the community projects what more could you want? A little slice of countryside in Sheffield! I love the rolling fields, trees and the beautiful gardens for the wedding day. We have photographed some fab weddings here including one outdoor ceremony where the rain went away at the very last minute! Sheffield wedding photographers Paul & Helen love photographing countryside style weddings at Whirlow Hall Farm in Sheffield. We also photograph weddings in the Lake District where we are based. 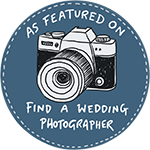 We are also Peak District wedding photographers and all over Yorkshire! !